Commands or signals, corrections or punishers, praise or reinforcers—does it matter what we call them? If you think it doesn’t matter, there’s no need to read any further. If you think it does matter, please continue reading because I’d like to help you. I noticed some inconsistencies in contemporary dog training terminology and will proceed to argue that they need correcting. Trainers use too many terms that either are badly defined, not defined at all or already exist and mean something else. Why is it important to agree on one single terminology? Because only then can we have a meaningful discussion and avoid falling out with people with whom we might otherwise like to cooperate. For example, the majority of “positive” dog trainers have no problems using the word command and yet a command means “an authoritative direction or instruction to do something,” or “a line of code written as part of a computer program.” To command means “to exercise authoritative control or power over.” The word has connotations of the military, the police and of authority in general. Of course, we may use the word command but it beats me why we ban the terms dominance (without defining it properly) and punisher (whilst disregarding the correct, technical definition of the term) and use command with no concern whatsoever. Personally, I have a problem with the use of command in dog training for several reasons. A command implies the obligation to execute a behavior in a very precise way. We give computers commands to execute actions in exactly the same way every single time, no variations allowed (that’s what we want from our computers). Army officers issue commands they want obeyed with no questions asked and disobedience is severely punished. Is this what we want from our dogs? No, it is not. We want them to perform a behavior within a particular class of behaviors where variations are both inevitable and acceptable. There are many ways to sit correctly, but not many ways to “copy” or “paste”. The authoritarian aspect also bothers me; it implies subjugation. I don’t want my dog so much to obey me as to understand what I want him to do. The essence of communication is to convey information, not to enforce it. When we communicate, we use signals, and signals are understood, not obeyed and not commanded. I can’t say “I command you to understand.” A command is a signal before becoming a command, only we don’t need to issue commands to our dogs if we’ve done our job properly. Signal seems to me undoubtedly the right term and has much better connotations than command. Your dog is not a computer, nor a soldier (PS—I have nothing against computers nor soldiers). The same goes for the term punisher. You’ll find “positive” trainers using the word command without blinking, but demonizing you if you dare as much as whisper the word punisher, which doesn’t make any sense at all to me. If we are sensitive about the connotations of one term, it seems that we would also be sensitive about those of the other. Whilst blithely employing the word command, some trainers substitute punisher with correction, which doesn’t make any difference, it still means the same and is interchangeable with punisher in some senses. Then, there is praise. Praise means “an expression of approval and commendation,” “applaud,” “pay tribute to,” “compliment.” It is true that praise can influence learning in humans, but I doubt it very much that it has any value in animal training. Praise and reinforcer are two different things. 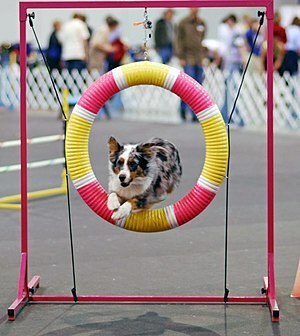 We use reinforcers in dog training, not praise. “Positive” animal training claims to be a more humane way of training animals (meaning showing compassion or benevolence), to be more scientific than the “old-fashioned” training, and to know all about “classical conditioning” and “operant conditioning.” If this is true, why don’t we show it and educate people accordingly? Why don’t we use the proper scientific terms? Some claim that the right scientific terms are too difficult. I fail to see what’s more difficult in reinforcer than in reward, in signal than in command, but even if it were true, this appears to me to be one of the situations where the end justifies the means. It would be a small price to pay in order to gain more clarity and avoid misunderstandings. Using technical terms instead of everyday words would also help people fully understand and use the various learning tools correctly. Sometimes, in trying to simplify things, we miss the point completely. Most dog owners don’t know that praise in dog training means “everything that increases the frequency, intensity and/or duration of a behavior when presented simultaneously or immediately after the behavior takes place” (= reinforcer). Dog owners are not more stupid than dog trainers and if the latter can learn it, so can the former. It’s up to us to motivate them. We were all dog owners before we became dog trainers. Did we like condescending dog trainers back then? As far as I can see, we only have two options: (1) to claim that it doesn’t matter what we call things, in which case nobody should be labelled for using terms such as punisher, dominance, etc., and we can all be “positive” nevertheless; (2) to use, teach, encourage and propagate the use of correct, well-defined terms, starting with ourselves, in order to be consistent with ideology and methodology. Personally, I am not worried by the terms you use and I will not label you solely on your choice of words. The only concern I have is that (unless I know you) when you say command I’m not so sure you know about the intricacies of signals, and when you say praise I’m not certain that you fully appreciate the function of reinforcers (and punishers). I understand that you don’t like the word punisher because you are a good person, but I’m not sure that this is the right way to manifest it. Changing a term doesn’t change an attitude. Sometimes, quite on the contrary, if you used the word punisher, you’d have an opportunity and a reason to emphasize that it has nothing to do with violence and abuse. On the other side, I do have worries that we label good, humane, “positive” dog trainers otherwise because of their correct use of the scientific terms; and that we label good, humane, “old-fashioned” trainers abusive due to their ignorance of the terminology that is fashionable nowadays. Before you even think of labeling me on the basis of my comments here, I would like to remind you that my first book on dog training, published in 1984 and entitled “The Dog, Our Friend—Psychology rather than Power,” was a revolution in dog training at the time; it was the first book (as far as I know) to describe exactly how to teach a dog sit, stand, down, come, heel, jump, slalom, treat-on-the-nose, retrieve, etc., without the use of any force at all. I showed even pictures of the clicker (except that we used a whistle) and of the precursor of these so fashionable toys that you fill with treats to stimulate the dog. Since then, many have followed in the same spirit: respect for the dog as a species and as an individual. The bottom-line is that we should define terminology and implement it consistently. As it stands now, I’m afraid we’ll lose many good people for our cause of “a better world for dogs and dog owners” because of fashionable trends and pettiness. “Why Do We Have Dogs?” by Roger Abrantes. There is something about behavior terminology that makes normal humans eyes glaze over and their brain to quit working. I didn’t used to think so, but reading a discussion of terminology on LinkedIn by a group called Animal Behavior Professionals has me totally convinced that most people are incapable of understanding behavioral terminology. It’s shocking really. What are your thoughts on the use of the word “cue” vs. “command” vs. “signal”? I purposefully use “cue” as I feel it doesn’t have any conotations of implied power or authority that “command” does. I find that by using the different word myself, that I can change the perception of my clients towards their dog. For example, I find that if I say a dog “fails to perform a command” then clients are more inclined to blame the dog for willful disobedience. But if “a dog doesn’t respond to a cue” then they are more inclined to look toward lack of training, reinforcement history, or environmental distractions as the reason. “Command” puts the onus on the dog, whereas “cue” puts the onus on the owner. I prefer the use of “cue” over your “signal”. To me, “signal” implies something or someone performing an action. I think “cue” is a better term in that it is easier for people to consider that an inanimate object or stumulus in the environment can serve as a “cue” for a behavior rather than that the environment is giving a “signal”. Is this a European thing? I am in California, and I hear very few R+ trainers using “signal” or “command”; mostly I hear “cue”. Likewise I don’t hear “praise” being used interchangeably with “reinforcer”, although I hear “treat” and “food” being used to mean the same thing. I also have a pet peeve about using the term “positive” to mean “only positive reinforcement”, because by necessity that tends to also mean “negative punishment”. To me, when a trainer says “I use only positive methods” I always wonder if they’re woefully ignorant of Skinner’s terminology, or if they happily use both positive reinforcement and positive punishment. Hey, Roger! Nice article, designed, I know, to get us thinking and talking. Thank you. As always, an excellent well written piece! I strive to teach that sharing our lives with animals is about trust, acceptance, and guidance, not fear and control. Relationship d not grow out of fear nor do they flourish in confusion. I actually made a little video about positive relationship building. I completely agree with you Dr. Abrantes and I will like to add: One of the aspects, that differs you from other great and experienced dog trainers, I think, is your communication with the dog (and other animals). Your unique combination of body language (based on the ethology of the species), learning theory, intuition and natural talent, that anyone else can just dream of. It is a really great experience to watch. Even variation is inevitable and acceptable by using signals – the signals given by you implies precise responses, that makes, it looks like, the dog understands you very well, like nothing is by chance – the dog has no reason to be in doubt. Your precision and “alive” approach implies impressive results. Thanks for your comments, they are great and inspiring. They prompted me to clarify the difference between “signal” and “cue,” which you can read in another blog of mine. And, Janet, you’re right: I’ve already had some questions about my signature. I’ve been signing my name as R and a line since the time we used to write with pen and paper. When the electronic age took over, in the 1980s, I got used to sign R- and that was much before the time of the discussions about R plus and minus, so I don’t think I’d like to change it now. Hii all. I agree with you – 100% +. Thank you for the information. Bruce. I thought it would be interesting to write this comment as I’m reading this post. To be honest, I’m not sure whether or not I agree with you. Part of me understands that, when talking to other professionals, one must be clear, concise, and able to communicate properly using terms and words that mean what we are intending them to mean. Part of me also wants to bang my head on my desk and say “NOT THIS AGAIN!” because I think we get too caught up in jargon. The problem comes in the fact that most “professional” “positive” dog trainers barely know the terms, refuse to use half of them, and can’t even attend the same class as another “professional” without their eyes glazing over in rage. So, while being not quite sure I agree….I do want to be quite sure that I’m on the same page. To that end, I actually looked up to word “authority.” (It’s sad, isn’t it?) When it comes to the word “command” in specific, I can’t seem to wrap my mind around to problem with the denotation of the word. Even the words “authority” and “authoritative” seem to be on par with what I ask from my dog. The use of the words “command” or “authority” doesn’t necessarily dictate subjugation, punishment, etc. In fact, without adding negative connotation or attaching personal feelings to the words, they don’t seem incorrect. In fact – to me – they seem clear, concise, and rigid. I feel the need to scream “DON’T ENCOURAGE THEM!” (in reference to positive dog trainers demonizing certain terms) and wave my arms hysterically. Not that it’ll do me any good. The word “praise” – I should think – could be just another (more mundane) word for what one might use as a bridge signal. Don’t get me wrong here – it’s not the scientific term – but the gist seems clear. Also, what client understands the real definition of a reinforcer? Half the professional, positive dog trainers I know can’t define it. Annnnyway, now that I’ve finished with the article…. In order to effectively, clearly communicate, we simply must use the correct scientific terms. We need to cut out the short cuts (such as the word “praise” in place of “bridge” or “reinforcer”) and use all those fancy words we learned in order to become professional dog trainers. But I still have trouble with the rejection of the word “command.” (Perhaps it seems too much like the rejection of the word “punisher,” in that there is an emotional aspect tied to it on both sides.) I have trouble attaching emotion to words that can be used as descriptive, despite how they sound or what they make me think of. Thanks for your comment. I like your “Yet you want us to have discussions on proper terminology? Maybe in a century or so…” You are probably right. Yet someone has to start and I thought I could as well give it a go for I won’t be here in a century! When you write “But I still have trouble with the rejection of the word “command.” (Perhaps it seems too much like the rejection of the word “punisher,” in that there is an emotional aspect tied to it on both sides. )” I definitely sympathize with your concern, but I can assure you that is not my quest. I use the term “punisher” uninhibitedly as you can see in various other blogs because I think it is the correct term to describe the process in question. I don’t like the term “command” in the context of dog training not because of its connotations, but because it is the wrong term, in my view. I have nothing against commands otherwise as I also write in my blog. A signal and a command are different. The behavior our dogs produce is the result of signals, they lack the uniformity of the behavior produced by commands. Even military behavior, even though under command, often miss the rigor and precision implied in “command,” much to the chagrin of the commanding officers.